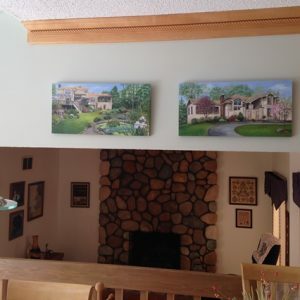 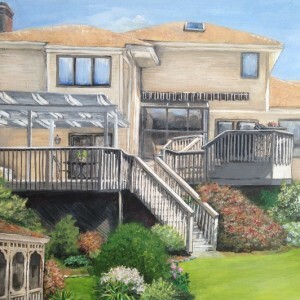 This painting is the rear view of the same Contemporary House Portrait I posted earlier this summer. 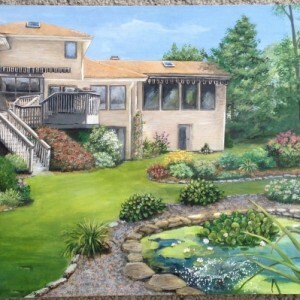 My goal was to make the viewer feel as if they were standing on the far edge of the property. 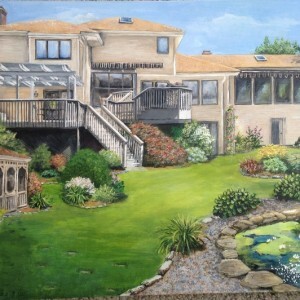 Doing this extensive backyard was a real challenge. 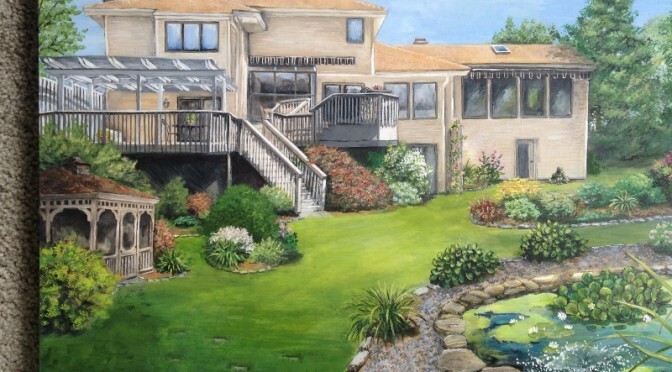 I used multiple views of the yard and combined them into a seamless whole. 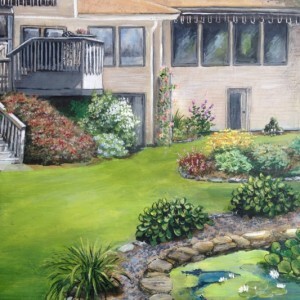 There is complicated decking on the house, a gazebo, garden ornaments and a pond with a fountain. 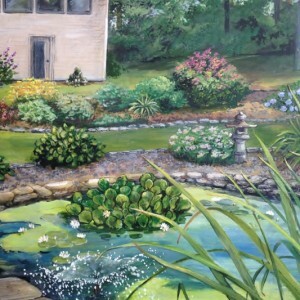 I put a limited number of the flowering plants in bloom so as to not overwhelm the landscaping. 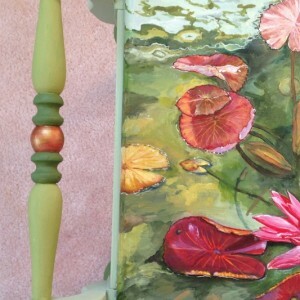 The piece is painted in acrylics on a smooth surface 24″ X 12″ clay-board. 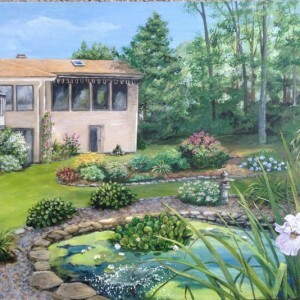 Also see my painting of the front view of this home in the post dated 07/27/2015. 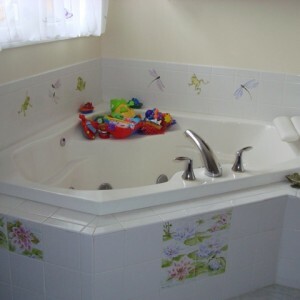 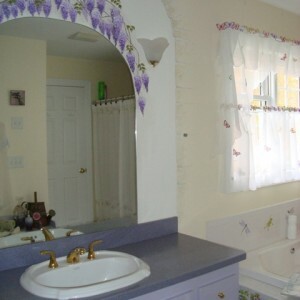 This bathroom evolved over time with multiple projects. 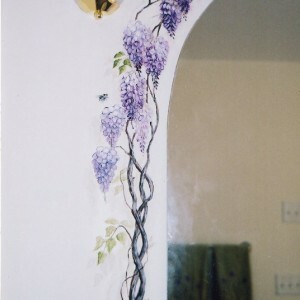 Purple Wisteria hangs over a custom cut mirror. 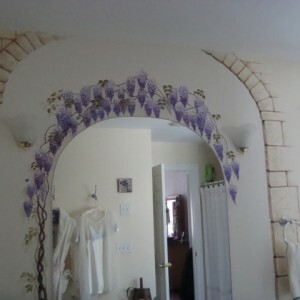 Later on, the stone arch was added so as to merge the mural into the wall when the bathroom was repainted a pale yellow. 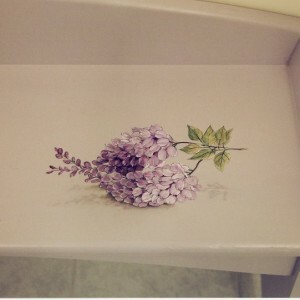 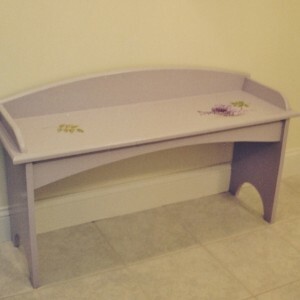 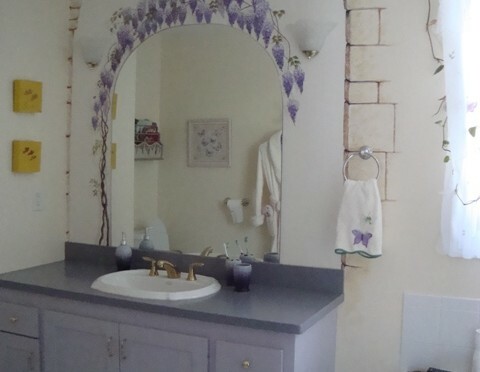 A Trompe L’oeil Wisteria blossom ‘sits’ on a bench which was painted the same lavender as the vanity. 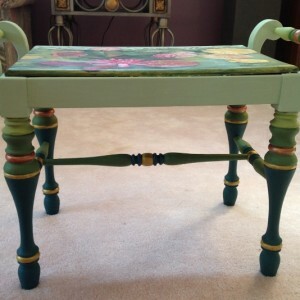 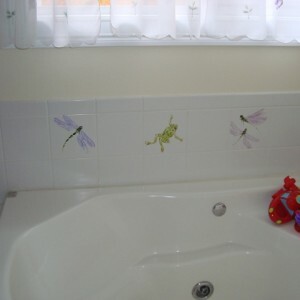 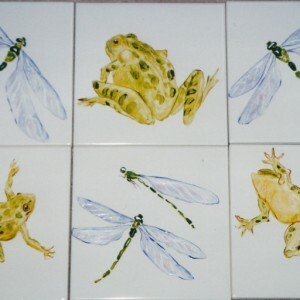 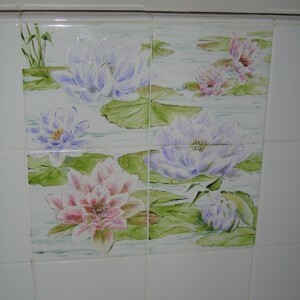 Tiles were painted with a special paint that bakes in an ordinary oven. 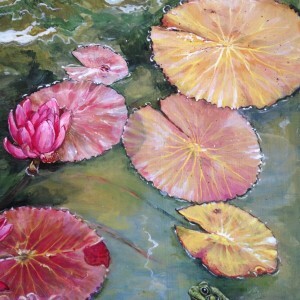 Since this type of paint is more limiting I chose to do the Water Lilies, frogs and dragonflies in a style inspired by Japanese brushwork. 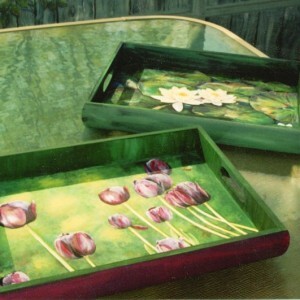 These three trays are painted with three different and striking floral motifs. 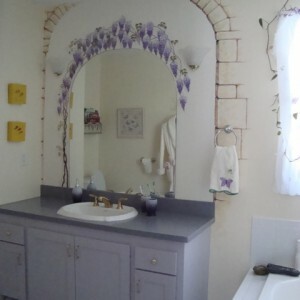 Deep purple tulips wave in the wind on one of them. 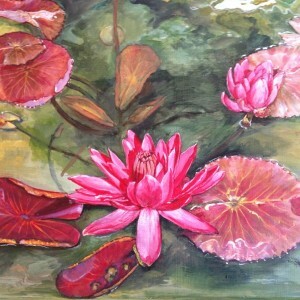 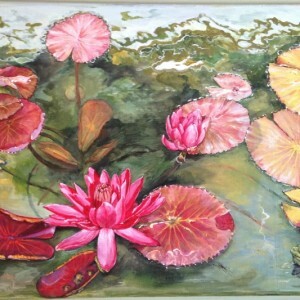 Water lilies slick with water densely pack another tray. 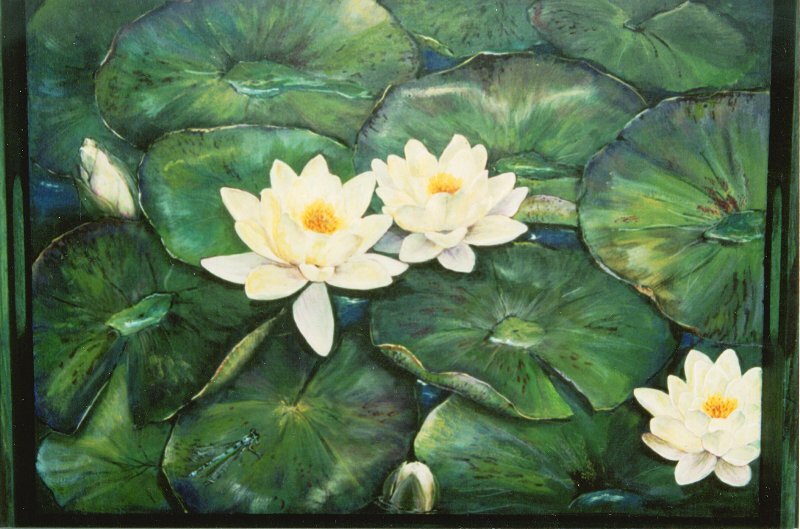 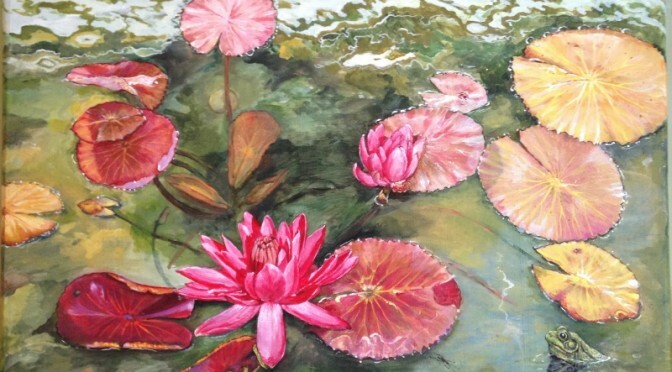 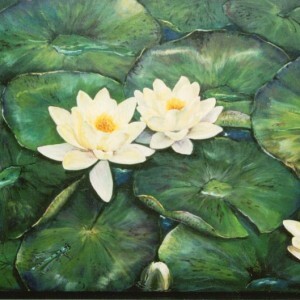 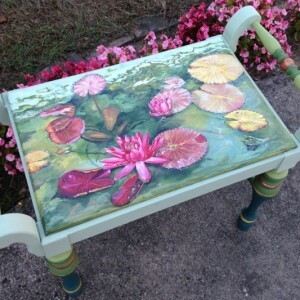 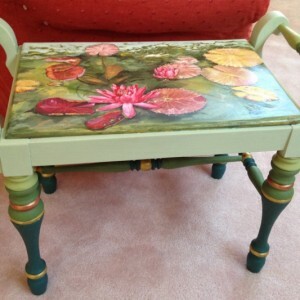 I painted the lilies with the goal of capturing the memory of dragging my hand, as a child, through the slippery carpets of saucer shaped leaves while on a canoe ride on a New Hampshire lake. 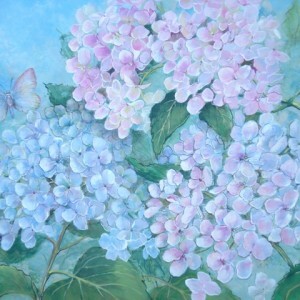 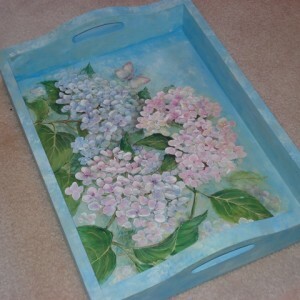 The third tray is filled with delicately painted Hydrangeas. 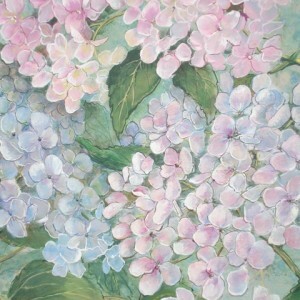 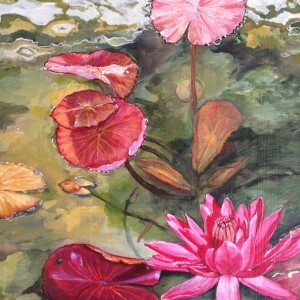 You may have noticed that this is a favorite flower of mine and I have done them in many styles over the years. 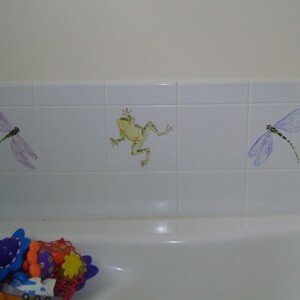 Of course there is a bug on each tray!